My sketch from the Musum of History and Industry. 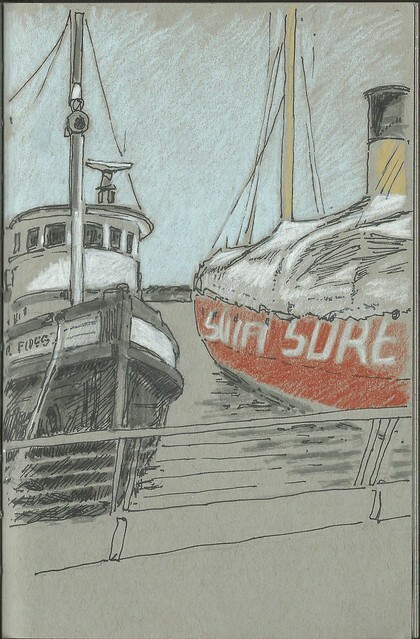 The Center for Wooden Boats is also here, so tons to sketch. The top of the Swift Sure was all covered in white tarps, so probably getting restored. I hate to whine about the heat, but honestly, my sketch was chosen based on finding a spot where I could sit in the shade! 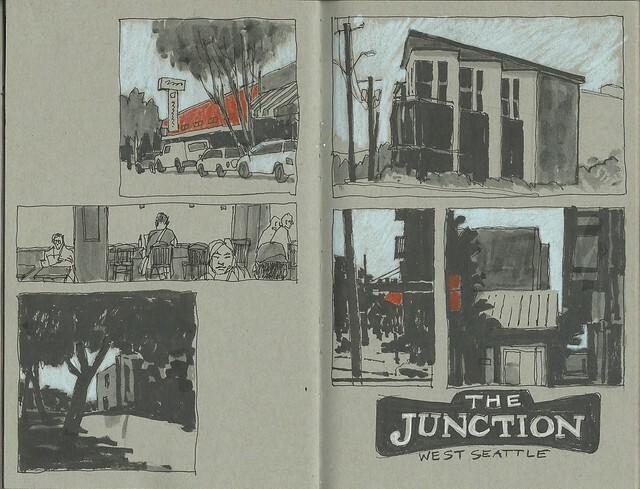 And here are my pages from last week at West Seattle Junction too.